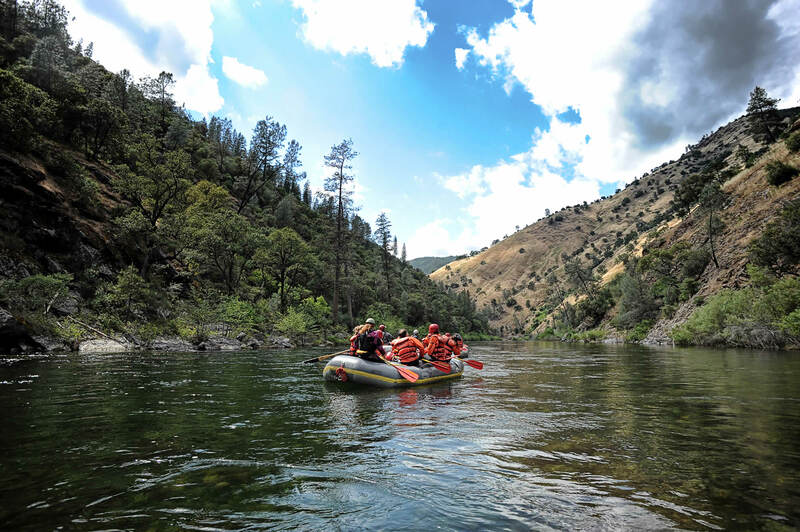 One of the first eight rivers that Congress designated as Wild and Scenic in 1968, the Middle Fork of the Clearwater is an incredible scenic rafting trip. The Middle Fork of the Clearwater River is formed by the confluence of two stomping rivers, the Lochsa and the Selway, but the rapids on the Clearwater are gentle and straightforward Class II. Clearwater River rafting trips allow time to soak in the beauty of the surrounding wilderness in north-central Idaho and to relax while floating down a spectacular river corridor. The rapids on the Middle Fork of the Clearwater are straightforward and mellow, but also a bit splashy and fun. For paddlers looking to add a bit of excitement to their Middle Fork of the Clearwater River trip, sit-on-top kayaks are a great way to experience the river and get a bit of adrenaline pumping. Although a river trip on the Clearwater can be shorter, it offers twenty miles of beautiful scenery and great Class II rapids. Floating along at a slow pace allows for plenty of wildlife-viewing time on Middle Fork of the Clearwater rafting trips. Deer and elk graze in the grasses along the river and ducks and geese teach their children how to swim upstream through the rapids. A Middle Fork Clearwater River trip takes rafters through temperate rainforest zones, dense fir and cedar forests, and open grassy areas. As rafters float through such a beautiful wilderness area, it does not take much imagination to understand why the Nez Perce Tribe called this area their home over a century ago. When the turbulent springtime snowmelt settles down, the Middle Fork of the Clearwater is a perfect scenic summer float trip. 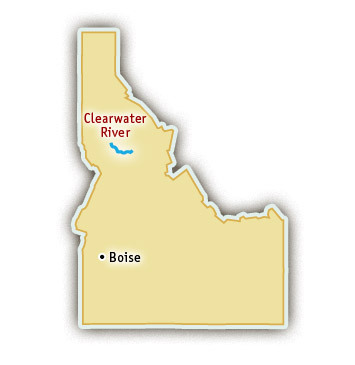 Although the Middle Fork of the Clearwater River is free-flowing, it’s two major tributaries, the Lochsa River and the Selway River are so voluminous that the Clearwater River maintains abundant flows throughout the summer. The clear, cool water is refreshing on a hot summer day and the fishing is best when the water moves at a slower pace.